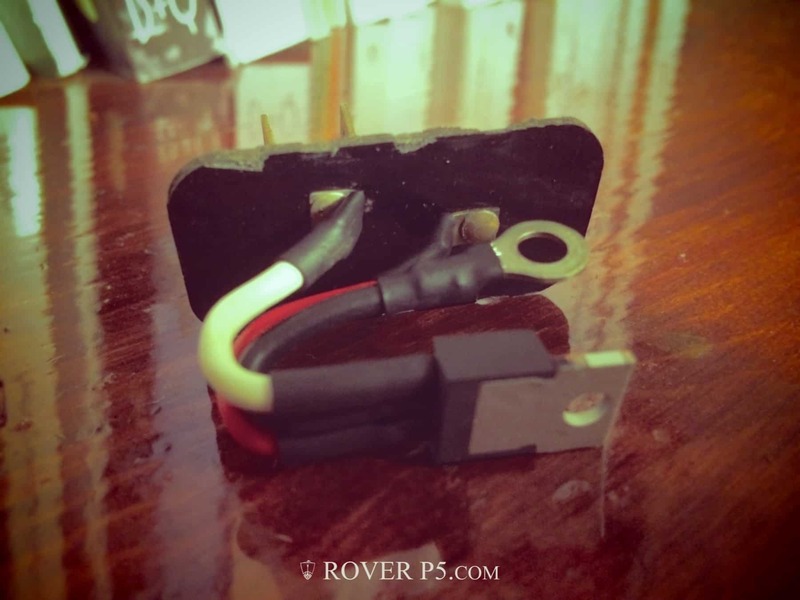 Fixing a Faulty 10V Regulator on a Rover P5B. The fuel gauge and temperature gauge seemed to be possessed by some sort of ghost, with random movements of the needle. Sometimes the temperature gauge would rise to max, then sink down. After an initial panic I decided it was the gauges that were faulty. They’re both fed by a 10V regulator under the dash, and the original 1968 solution seems to be an electro-mechanical bi-metallic switch that switches the 12V rapidly to give very roughly 10V. 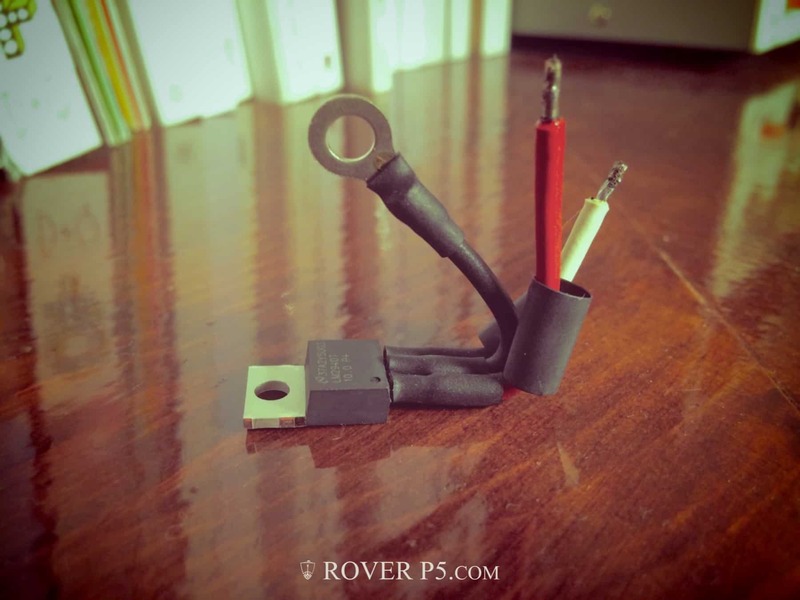 A better solution iss to replace this with a modern semiconductor voltage regulator, which costs a few pence. Once fitted the gauges all worked correctly, and the temperature gauge is much more accurate. Well, for a few weeks – it now seems the sender has failed, as the temp gauge reads nothing but if I earth the sender wire it reads max, so it isn’t the gauge I think. New sender ordered, but it seems the old one is well and truly stuck in – I don’t want to crack the manifold removing it, so I’m soaking it to see if it will free up. 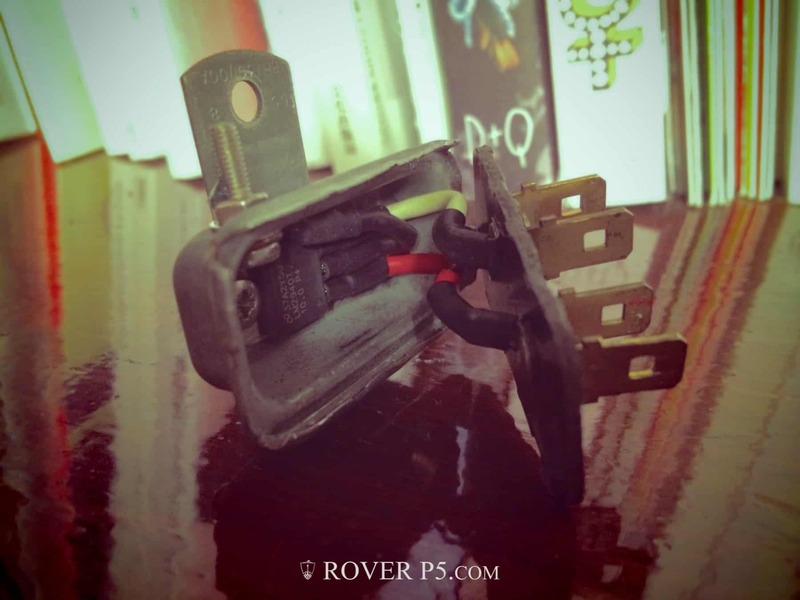 Almost forgot – the PO had had fitted an electric fuel pump, with a switch inside the car to stop power to it. Seems the fitter thought in the event of major accident the driver would calmly switch-off the pump to stop fuel being pumped into a stalled engine compartment. Not very practical or safe, to say the least. 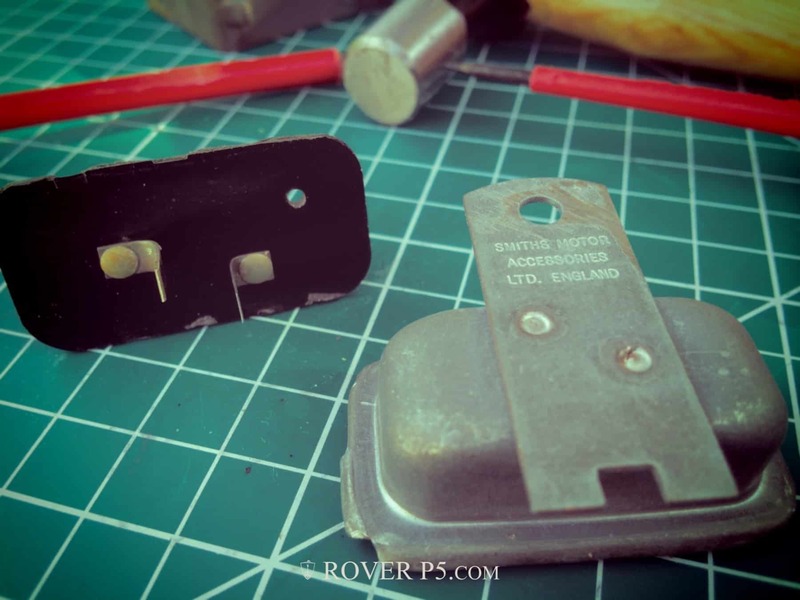 So I sourced a second hand Range Rover (keep it in the family) fuel pump inertia switch and wired that into the supply, mounting on the firewall in the engine. Hopefully, in the event of an accident, it will trip and cut-off the fuel pump. Other than that been driving it a fair bit, and loving it. Lots still to sort out, but very slowly getting there. I’m determined to do it all properly – I really hate bodges. 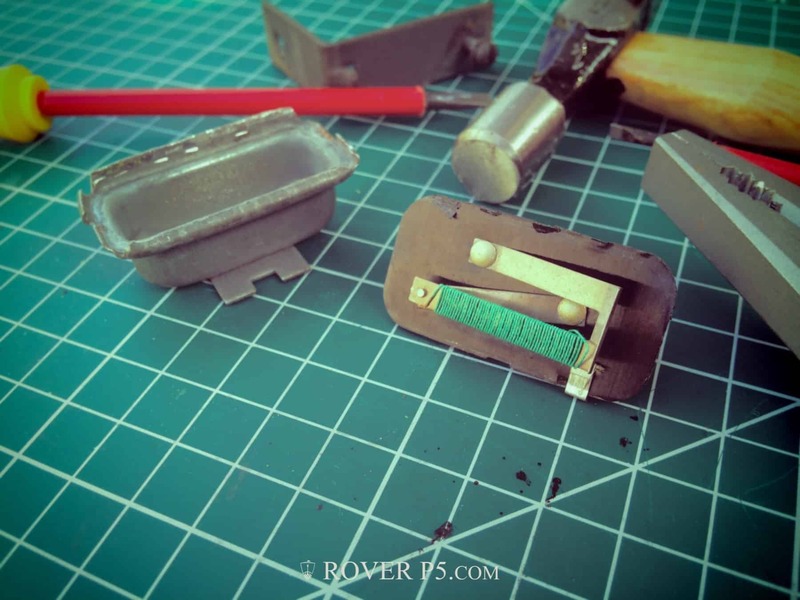 Currently making a USB power supply for phones and satnav that’s hopefully in-keeping with a 1960’s interior. Also need to tune the engine pretty urgently, as since fitting the new jet it stalls at tickover fairly often – need to get a day to play around with that soon, so will book a day off work.